Speech delays, attention deficits, emotional deficits, hyperactivity, autism in early childhood? Sheridan’s books close with a series of provocative research questions. Answers to these questions should help us understand the relationship of mark-making to the natural unfolding of attention, speech, emotional connection, and literacy in young children. Teacher, researcher and writer, Dr. Susan Rich Sheridan, proposes a simple program to encourage speech, attention, emotional connection, and language skills in early childhood. Her website includes downloadable research papers as well as 4 books devoted to the subject of early childhood language and literacy. Hands-on exercises are downloadable from Dr. Sheridan’s site for free. Sheridan proposes that pictures and words get into children’s brains through their eyes and hands, but she also believes that the basic shapes and patterns on which all pictures and words depend are already embedded in the neural architecture of the human brain. Sheridan believes that scribbling and drawing access and organize these special neural patterns for literacy. ​Research questions from Saving Literacy, a new book by Dr. Susan Rich Sheridan; this book provides exercises in scribbling and drawing, showing professional caregivers how to develop attention, emotional control and connection, speech, and literacy in children. 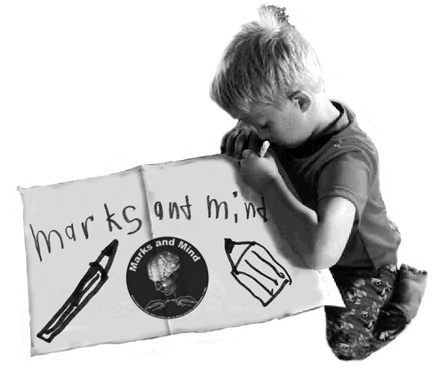 Research questions from HandMade Marks, a new book by Dr. Susan Rich Sheridan; this book shows parents, including homeschoolers, how to develop attention, emotional connection/control, speech and literacy in children using scribbling and drawing. "Scribbles: The Missing Link in a Bio-Evolutionary Theory of Human Language with Implications for Human Consciousness" Presented at poster session, "Towards a Science of Consciousness 2004"
"Scribbles: The missing link in a theory of human language in which mothers and children play major roles"